Test your eye hand coordination or just whac out those frustrations! The player’s objective is to hit the sharks with a soft mallet and score points. If a shark is not hit in a certain amount of time, it goes back in. This goes on for a limited duration. At the end of it, the total score of the player is displayed. 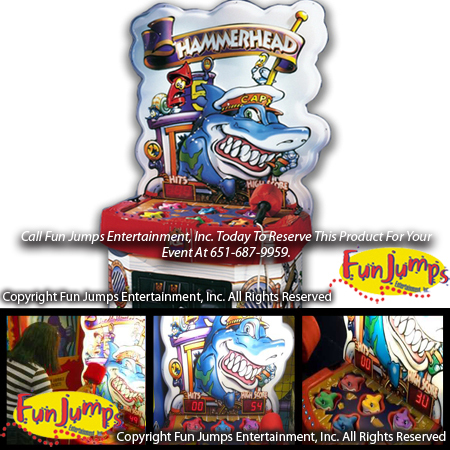 This game is perfect for school carnivals, church festivals, corporate events, birthday parties, carnivals and any FUN event in the Twin Cities Area!